It was a blustery day in Alexandria (El Eskanderia) and the sea was full of chop. The northerly, known by the ancients as the Etesian wind, was blowing strong. During the summer months this wind would pick up strength and provide favorable conditions for ancient mariners sailing to Egypt from Greece and the Aegean. Just as in antiquity, the streets of Alexandria are still aligned to catch the northerly gusts that blow off the Mediterranean. I inhaled deeply. The air was fresh but slightly fishy. I was chilled by the ocean air, but the sun was warm on my bare arms. 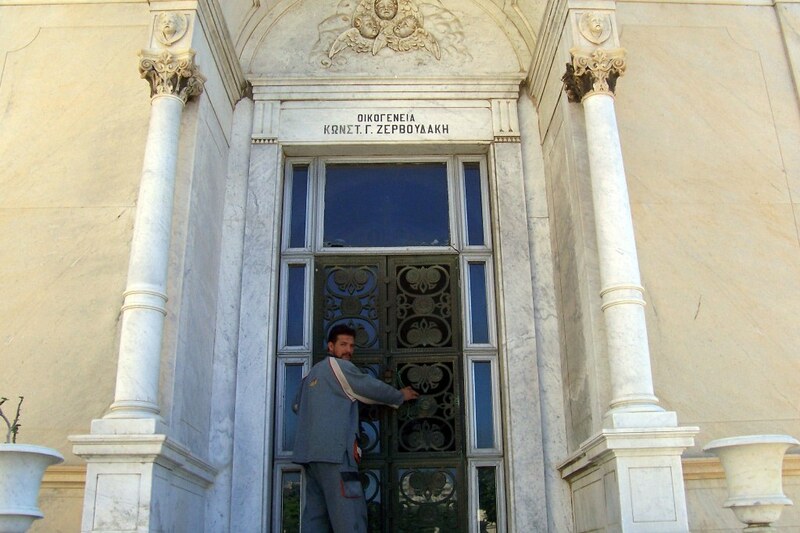 The taxi dropped me off on the corner of the Greek cemetery which spanned several blocks. The burial grounds were surrounded by a 10-foot tall white stucco wall that was peeling in spots. Most people don’t know what lies behind these walls. There are no signs to indicate the secrets that lie within. Greeks have been living in Egypt for over two millennia. They arrived as early as the 7th century BC as traders and merchants and later settled in pockets of the Nile Delta. After the triumph of Alexander (Eskander) the Great, Greeks streamed into Egypt, establishing communities in the Upper and Lower regions of the country. They were skillful seamen and clever merchants and they brought with them insider knowledge of Greek ship construction and navigation. 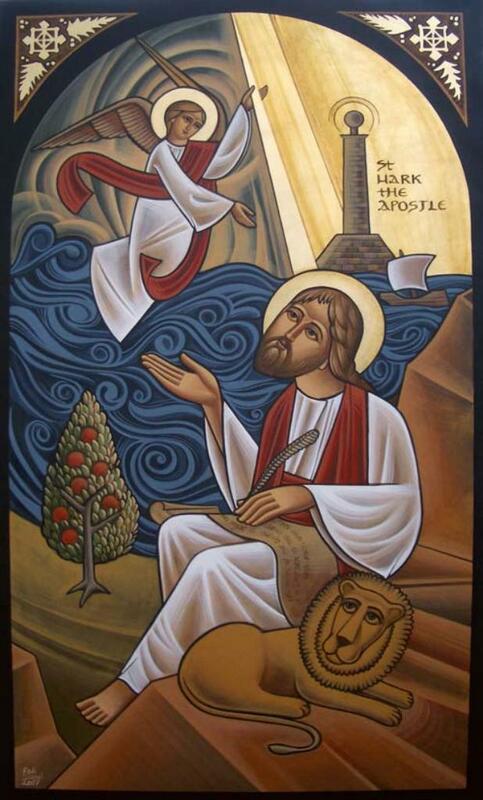 After the apostle Saint Mark established the Coptic Orthodox Church in the 1st century CE, Christianity was adopted by the local Egyptian and Greek populations living in Egypt. When the Arabs arrived in the 7th century CE, with no real navigation experience, they enlisted the help of the Greek Copts to build and man their impressive fleets that patrolled the Mediterranean and Red Seas. Alexandria continued to be the home of a large Greek population up until the Nasser era (1950-70), when many were forced to leave. Remnants of the Greek presence, however, can still be felt today, and the city exudes a Mediterranean air that recalls its former cosmopolitan history. 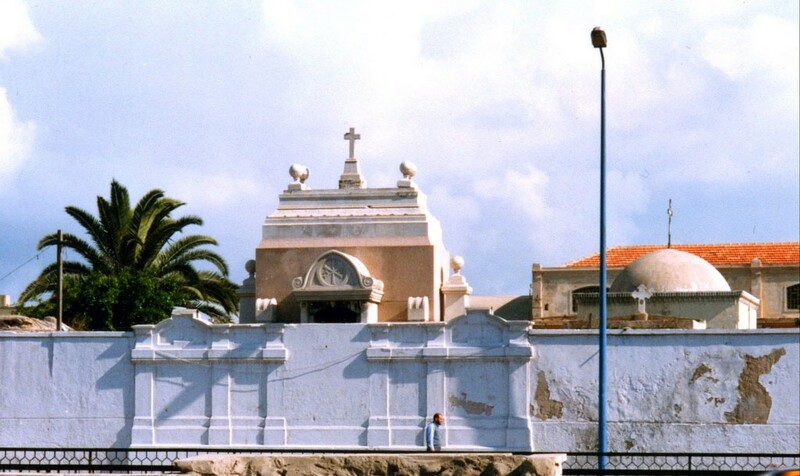 The multitude of cemeteries in the district of Chatby alone, testify to Alexandria’s multiethnic population. Today many of these relics are left unnoticed. I had been to this Greek cemetery twice previously. It is perhaps my favorite place in all of Egypt. I peered through the wrought iron gate that guarded the entrance. Two German Shepherds who were napping in the shade under a plumeria tree awoke and barked at me incessantly. This alerted the Egyptian guard who came over to greet me. He was also catching a wink before I arrived. As soon as he opened the heavy gate the dogs quieted. They reminded me of the Egyptian god, Anubis, who watched over the dead. I smiled. I was the only visitor here and the cemetery was as beautiful as I remembered. The plumeria trees were in bloom and the palms rustled gently in the protected confines of the burial grounds. Japanese Shower Trees rained a cascade of red flowers over the walkways. Bright green bushes, some with white flowers, decorated the grounds. 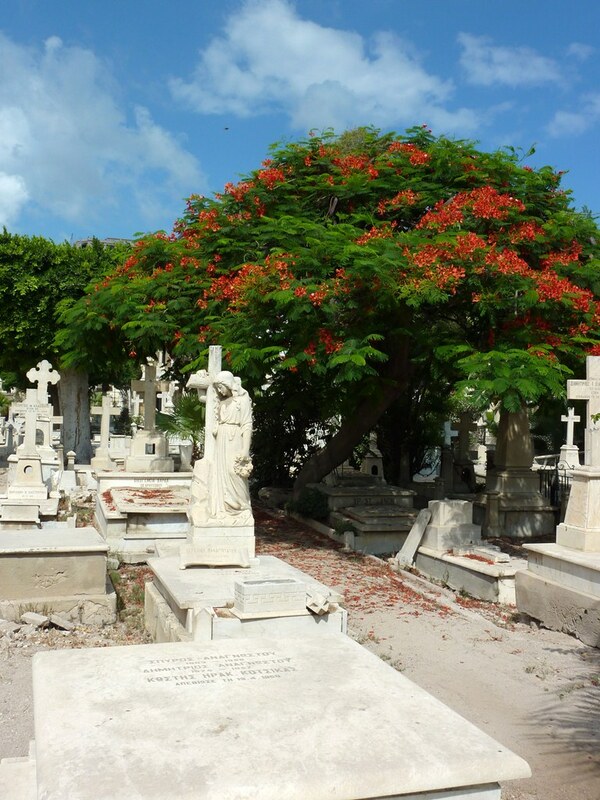 A single limestone pathway traversed the cemetery, while pebbled paths veered off in all directions around the humble and elaborately decorated tombs. Though the cemetery is located right in the middle of the city, the plastered walls surrounding the complex keep much of the noise at bay. I relished the silence of the graveyard and wandered down the narrow paths beside the crypts. An hour had passed wandering among the silent graves and pondering the lives of those who now inhabit them. A lonely white marble mausoleum sits in the back of the cemetery. A set of marble stairs leads to a pair of intricately designed iron doors that are now kept locked because the vault and its contents have been appraised at a value considered ‘priceless’ on today’s market. I ask the local guard to unlock the doors for me. 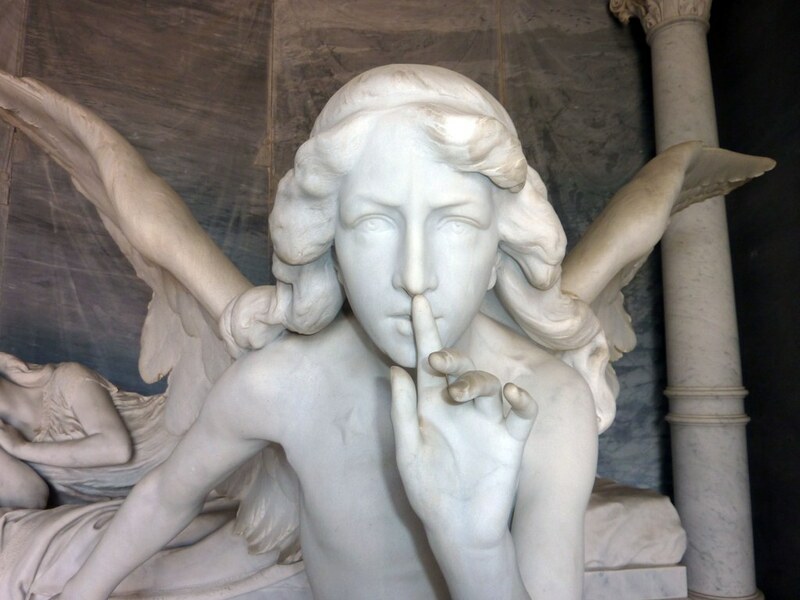 When he opened them, a life-sized angel advanced from the darkness. The sight is breathtaking. With the doors wide open, light cascades through the stone interior. 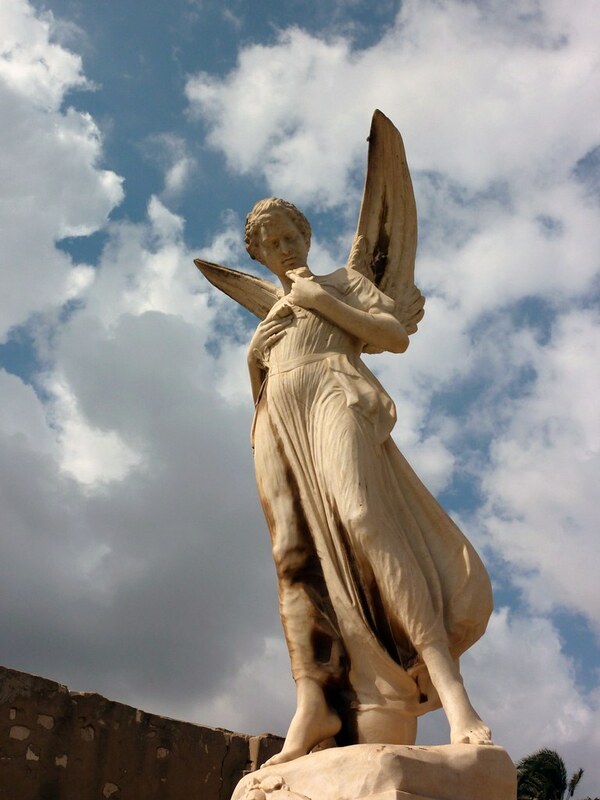 The angel lurches forward with one foot in stride. Her hand is raised to her mouth in a gesture of silence that sends chills up your spine. You can almost hear her whisper. The folds of drapery that adorn her body, though carved in stone, fall so elegantly over the steps they look real. Taken aback by the angel’s beauty it is easy to miss the woman lying behind her whom she guards with an outstretched arm. 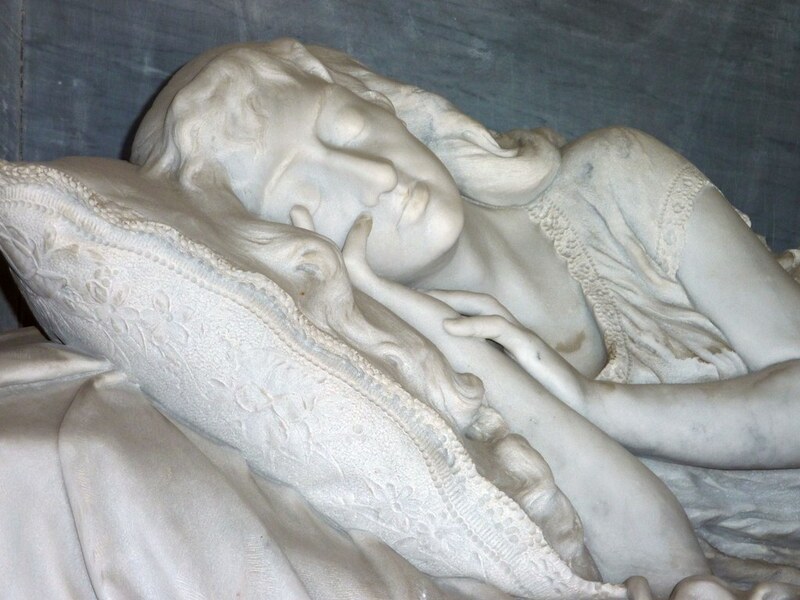 Frozen in an eternal doze, a sleeping beauty is carved atop a marble sarcophagus. The artisanship is remarkable. The creases of the sheets and the fine details of lacework on the pillow is inspiring. 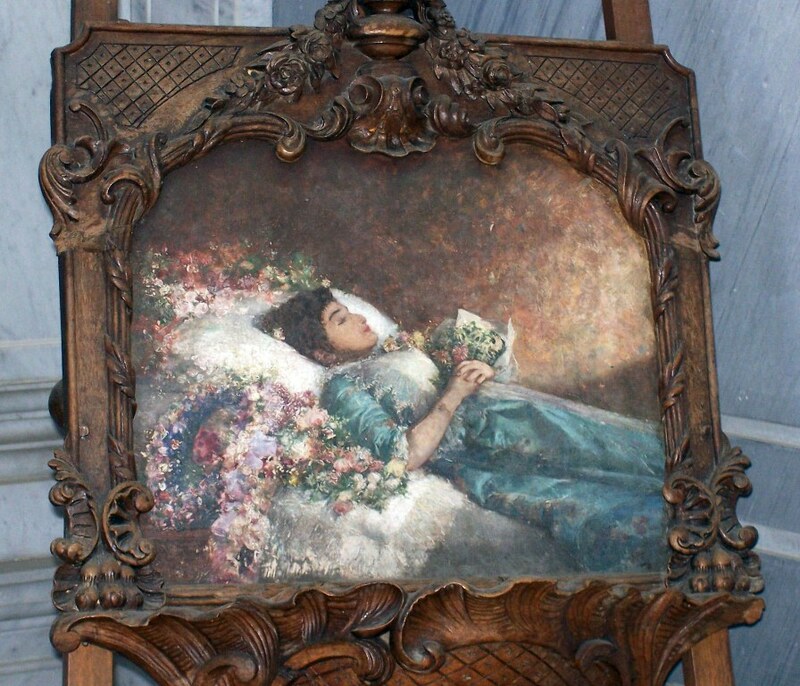 An oil painting of the woman in a timeless slumber stands in the corner and adds color to the room. Alas, it was time to leave. I placed a plumeria at her feet and took one last glance at the angel. 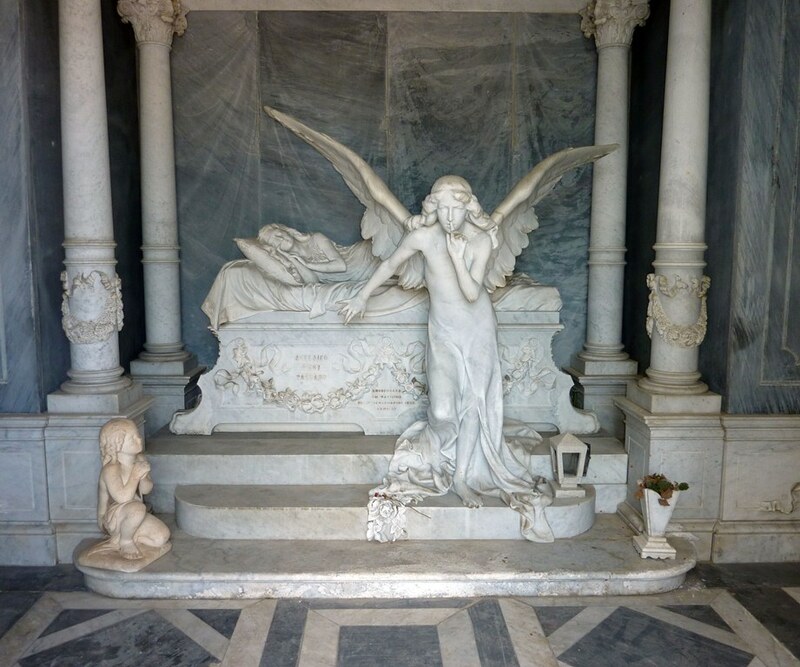 On my way out I stopped at a modest white marble grave adorned with a single cross and a matching marble vase that was empty. It read in Greek: Constantine Cavafy April 29, 1863- April 29, 1933. Cavafy, an acclaimed poet, was a Greek Alexandrian. My favorite of his poems was inspired by the Odyssey. Ithaca, as it is called, is an ode about the journey of life. It calls to mind distant lands and the lure of travel. It was humbling to stand beside the bones of one of the world’s finest poets. an angry Poseidon — do not fear. and body are touched by a fine emotion. if your spirit does not place them before you. Wish for the road to be long. you will enter ports seen for the first time. the most delicate fragances you can find. to learn and learn from the cultivated. To arrive there is your final destination. not expecting Ithaca to offer you wealth. Ithaca has given you the beautiful journey. Without her you would not have set out on the road. Nothing more does she have to give you. you must already have understood what Ithaca means. Thank you so much for the link. You are an extremely talented photographer! Thanks! I posted more photos if you are interested. It truly is the most peaceful place in the city. Thanks for your comment! I knew there were angels with us. mine must me in that city. OMG, Loved it! Just loved it! I’ve always fantasized visiting Alexandria! thanks for posting the pictures. OMG! I’m still in a charm! 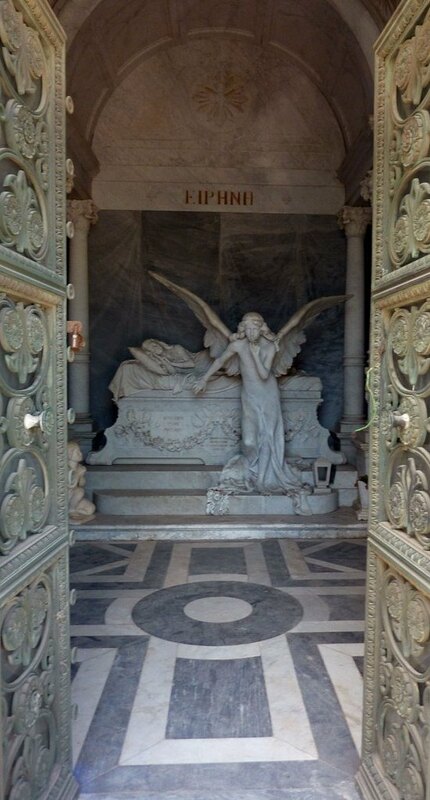 Gorgeous cemetery, and the statues are all incredible. Beautiful pictures! Thanks Jennifer! I just posted a few more photos. Enjoy! I absolutely love this post! Thank you so much for sharing. These photos are magnificent and your take on things is quite fascinating. Also, the poem is beautiful and I am very happy you chose to include it! How beautiful! The photography, the words, the poem. Thank you! I am so happy to have found your work! Wow, what inspirational writing and pictures. A great combination. 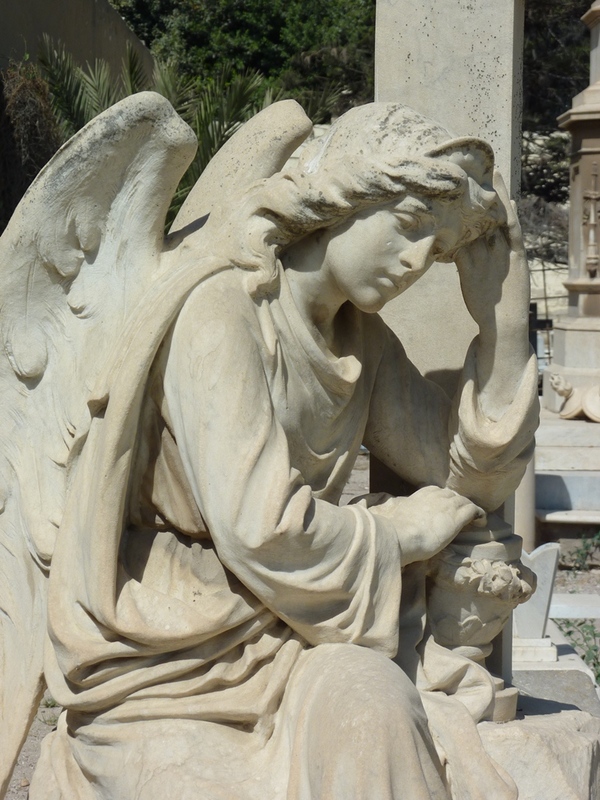 Cemeteries can be a great place for wonderful arts especially sculptures. This was truly an amazing post. Thank you for sharing this bit of the world most of us simply wouldn’t have seen otherwise. Great ! Photos, text and Cavafy’s poem. Born and lived in Alexandria until 1964. I was really moved. Many thanks. Thanks for reading! Alexandria is a truly remarkable place. Have you returned recently? I imagine it has changed a lot since you left in the 60s. Veronica,a big thank you for a great post. To think that i went right past this cemetery when visiting Egypt in 2013 after over 50 years absence. Unfortunately the touring bus did not stop there. My late mother was born in Alexandria and often spoke of the “beauty” of this cemetery. I was born and raised in Suez and migrated to Australia in 1960. Some great memories! Thank you again. We had the best years of our lives.